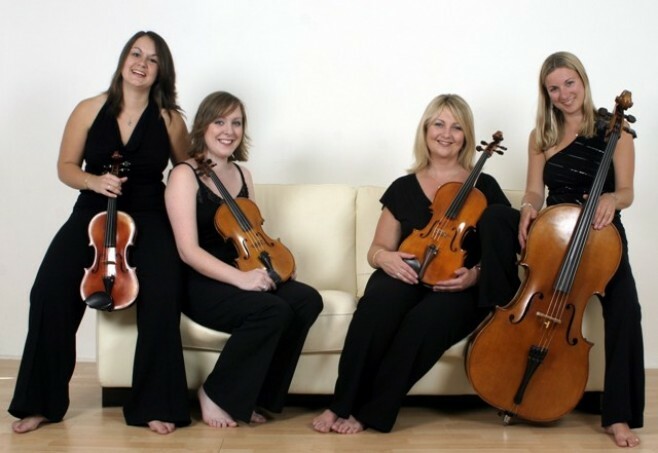 The H S (Acoustic & Electric Strings) Trio and Quartet are a vibrant, all-female ensemble of professional string players, each of whom have studied at London’s most prestigious music conservatoires; The Royal College of Music, The Royal Academy of Music and The Guildhall School of Music. 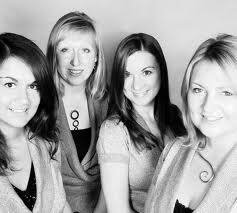 The girls are available to play as a trio and as a quartet. The H S Trio and Quartet can perform either acoustic or electric string sets as a trio or a quartet. They perform from an eclectic repertoire encompassing classical, romantic, jazz and pop which has wowed guests at weddings and corporate functions since 1997. They are recognized as a well-established trio and quartet in London and the Midlands, where they originally formed. 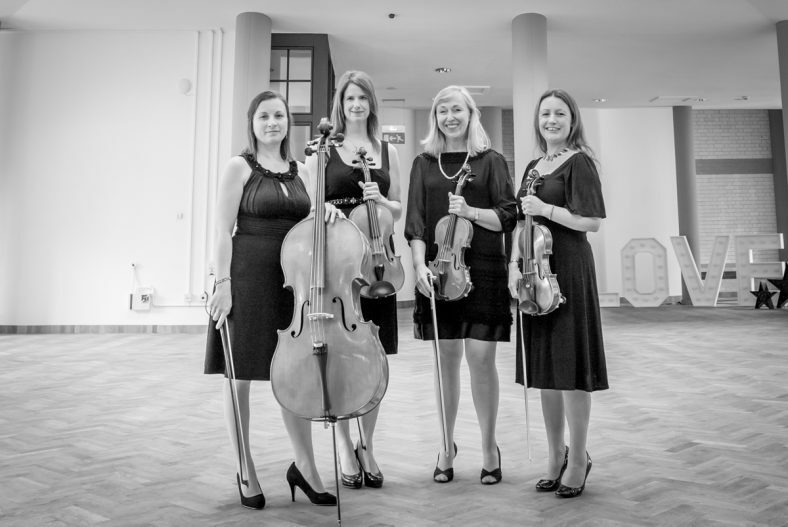 Members of H S Trio and Quartet have played with prestigious orchestras such as The BBC Symphony Orchestra, the Royal Philharmonic Orchestra and the Royal Scottish National Orchestra. Individually they have played in concert and on television with Will Young, Simply Red, Robbie Williams, Il Divo, Paul Young, Rod Stewart and Elton John. 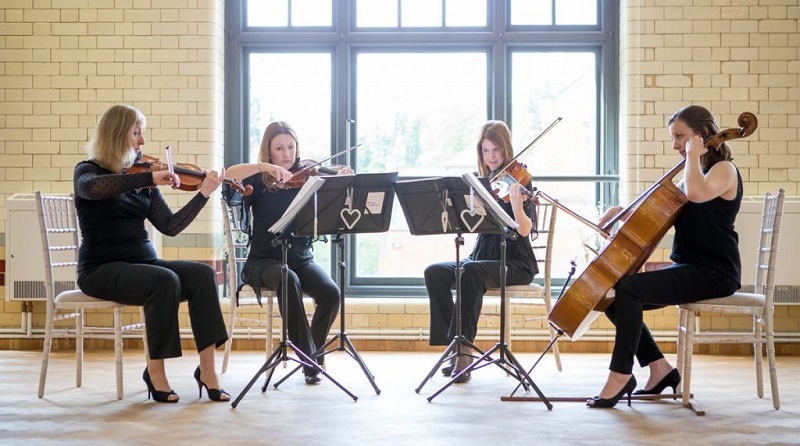 The H S String Trio and Quartet has performed at corporate functions in some of the country’s finest venues including Tower Bridge, Woburn Abbey, The Royal Courts of Justice and Burghley House. The group has also played in Europe and the Caribbean. Performances can be broken down into trio or quartet sets lasting between 30 minutes and 4 hours. They have an extensive repertoire for both acoustic & classical performances; please view their technical specification at the bottom of the page for the full list. With their all-encompassing repertoire the trio and quartet can accompany drinks receptions with classical sounds or entertain hundreds of guests with its multitude of arrangements of more popular artists. They are available individually, as a group or can organise a string orchestra of any size if required. For an electrical set, the girls can create a fantastic sound via their 300w amps, but they can also plug into a PA system for larger venues. What a terrific concert. Thank you all so much for giving us such an enjoyable evening. Many thanks for the beautiful music. H S Quartet made the drinks reception completely enchanting. Thank you for performing an excellent variety of music for our wedding…you made the ceremony even more special. All our guests commented on how much they enjoyed hearing you play. Thank you for such a fantastic performance at Hambleton Hall… It made the day. Our great day was made all the more special because of H S Quartet. If we are ever in the UK and you were performing we’d come and see you…failing that we’ll have to get you all over to Guernsey again one day! Having played the violin as long as I did I feel qualified to say “You were brilliant”. We couldn’t thank you enough if we tried! Mary’s Boy Child – Jester Hairston.